This past Saturday, I drove down to Nashville for Hypericon, a speculative fiction convention. This comes on the heels of Coyote Con, the 31-day digital conference, also focusing on speculative fiction. Highlight was meeting Ramsey Campbell, Sherrilyn Kenyon, and Alethea Kontis. 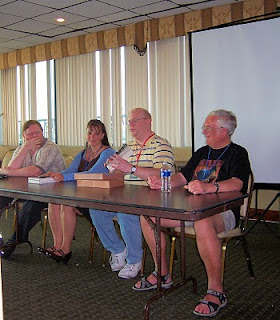 Ramsey Campbell read two of his soon-to-be published stories. Sherrilyn and Alethea were charming and personable. I never thought I'd have an opportunity to meet these authors. Then again, I never thought I'd meet Kenneth Anger. 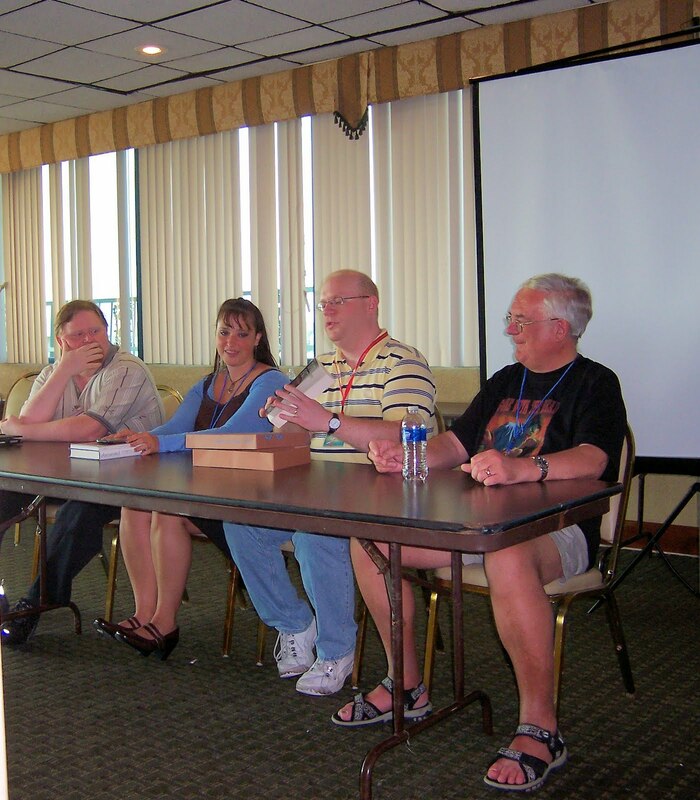 Other authors I met were John Everson, Sara Harvey, Allan Gilbreath, and Elizabeth Donald. The great thing is I have new books to read and new authors to discover. That's always a plus. Looking forward to Hypericon 7. I was curious about that conference. Looks interesting. I've been involved with romance conferences/workshops and now need to go the other way with some fantasy themed courses. It's tough writing cross-genre. I'm passing along a bit of fun, since you're such a great friend and talented writer. I've nominated you for a creative writer award. Please claim your award on my blog and follow the directions to continue bestowing this award to others. Never thought I'd write cross-genre, but it makes sense. LOL Now I want to write a mystery. Love reading them, but don't know how this one will turn out.